Do you breathe your tank down faster than your buddy? 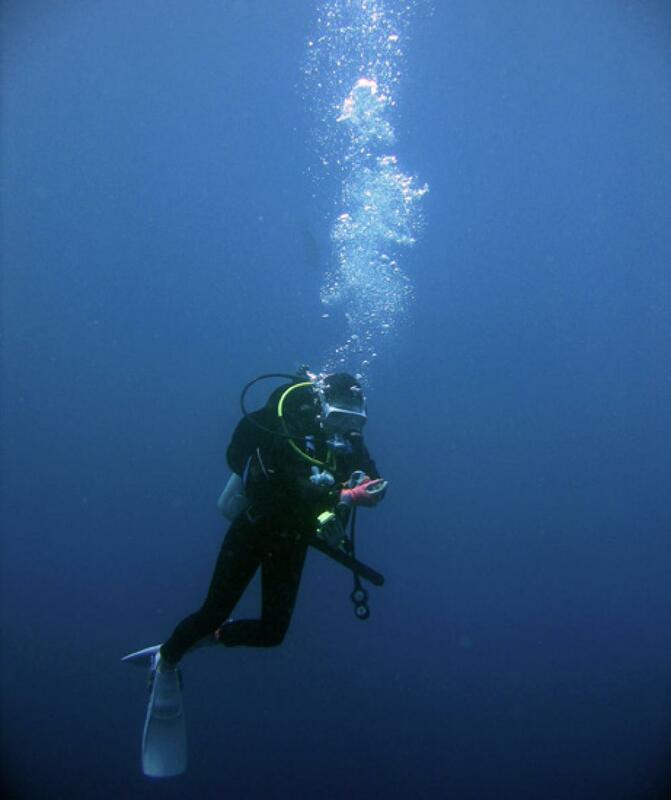 Here are 5 diving tips to help conserve your oxygen and extend your bottom time. Even a tiny stream of bubbles from an O-ring or an inflator swivel adds up over 40 minutes, and may be a sign of more serious trouble ahead anyway. A mask that doesn't seal is another kind of leak in that you have to constantly blow air into it to clear out the water. It's also a source of stress, which needlessly elevates your breathing rate and thereby reduces your breathing efficiency. Does your octo free-flow easily? That can dump a lot of air quickly. Detune it or mount it carefully so the mouthpiece points downward. Inexperienced divers are famous for burning through their air supply at a furious rate, so one of the best diving tips for saving air is to simply dive more often. You may not be a new diver, but unless you dive almost every week it's still an unnatural activity. By diving more, your body will get used to the idea, and you'll breathe less. The energy cost of speed is even more than you might think: Swim half as fast as you do now, and you'll use less air. Because your regulator has to deliver air at the same pressure as the water, a lungful at 33 feet (two atmospheres) takes twice as much out of your tank as does the same breath at the surface. At 99 feet (four atmospheres) it takes twice as much as at 33 feet. There's absolutely nothing you can do about that except to avoid being deeper than you have to be. If you're making a transit over an uninteresting sand flat to get to the edge of the drop-off, do it at 15 feet instead of at 40 feet, and you'll save air. If you're overweighted, you have to put more air into your BC to float it and be neutral. The inflated BC is larger and requires more energy and oxygen to push it through the water. An extra eight pounds of lead means your BC is one gallon bigger when inflated enough to make you neutral.